This campus is jam-packed with different personalities and lifestyles. You have the punk rock girl, the outdoors guy, the busy student and the shoehead (shoe collector). Don’t forget the hipster. 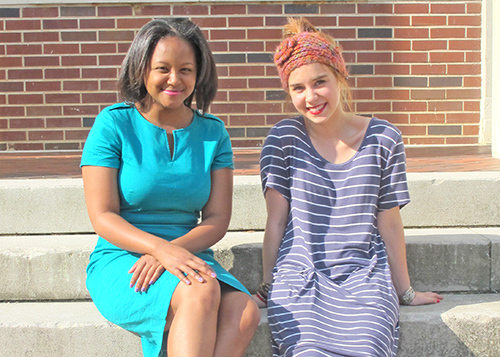 All of these personalities bring different styles to our campus and make Troy a melting pot of fashion. “You never know when you will meet your husband,” explains Christina Cook, a senior broadcast journalism student from Mobile. Because of her major, she is rocking heels and dressed business casual if she’s not rushed in the morning. Cook is prepared for a great day, and her outfit tells it all. That does not mean you have to go spend your whole refund check on a new wardrobe. Many students said that labels are not important, but others argued that brand names make a difference. Cook said that anyone can be fashionable without being a “label whore,” which she explained as a person who loves brands and will not wear it unless it’s an $80 Ralph Lauren top. Students like Yu Jiang, a broadcast journalism student from China, said that brands have their own personality. Sporting a pair of retro Air Jordan 4s, his style is classic with not too many colors. “If I get them, I wear them heavy because some brands are rare and unique,” Jiang said. Many Trojans use brands to express their lifestyle. “I wear Polo Ralph Lauren the most. It makes me feel original and classic,” said Houston Daniel, a freshman from Thorsby. He finds a few brands like Polo Ralph Lauren, Patagonia, Columbia, Southern Tide and PFG to be both fashionable and comfortable. When I met with her it was easy to tell she knew fashion because of her seasonal grey dress, nice shoes that matched and accessories that brought everything to life. She also has experience styling guys. “I like to see guys being clean cut, urban wear is nice, and I don’t like sagging,” said Wright. She said sometimes girls style guys better than other guys can because they have an eye for what they like to see. For example, she said a full suit is not always fashionable. “Some men get it confused. Nice slacks, button downs and loafers look good if you can mix it up and piece it together,” Wright said. The expensive route is not always the way to go with fashion said Rebekah Smith, a junior social work major from Madison. “Some of the best things I have are cheap. Just as long as you’re confident, you look great,” Smith said.